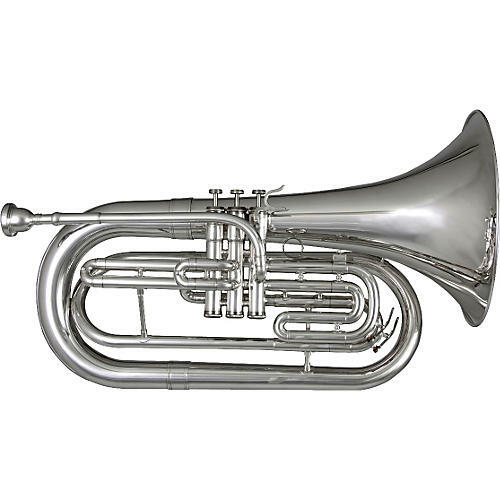 The M-301 Blessing marching baritone was designed to provide a big sound with less effort. The BM-301 is 25% lighter, yet every bit as robust as its predecessor, the Blessing BM-300. This will reduce the fatigue players experience during energetic performances. Features include a .500" bore, handmade 10" bell, and a newly designed leadpipe. Available in clear lacquer (BM301) or bright silver (BM301S) finish. Includes 6 1/2AL mouthpiece, and wood shell case.